Zarina Wahab and Rabia Khan. 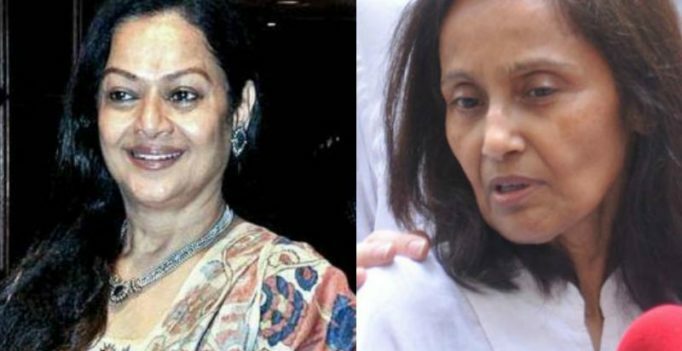 As a protective mother, Zarina Wahab is distressed by the late Jiah Khan’s mother Rabia Khan. The latter’s relentless battle to pin her daughter’s death to Zarina’s son Sooraj Pancholi is where the issue lies. Zarina asks how long her son will have to endure this attack. “Does Rabia think by continuing to accuse my son he will eventually be proven guilty? The system of justice doesn’t work that way. And what does she want to prove by writing to the Prime Minister? Does he have nothing better to do than to listen to a vengeful rant?” asks Zarina, as she expresses concern for her son’s future.